Interest Rate Subsidy on Housing Loans – Know Everything About Home Loans at a Discounted Interest Rate. The year 2016 ended with the honorable Prime Minister Narendra Modi’s much awaited speech. The speech gave hopes to the poor, women and senior citizens. The housing policy schemes by the P.M., made easy for the poor to have a home of their own. The new policy of home loan interest rates subsidy to the needed, raised hopes in availing a home with the help of housing loan. That too for really lower interest rates. So, here are more details about Pradhan Mantri Awas Yojana and Credit Linked Subsidy Scheme. This scheme is valid in urban India (towns, cities, metros) for urban poor of income below 6,00,000/ year and age between 21 years to 58 years. Credit Linked Subsidy is available for housing loans availed for new construction and addition of rooms, kitchen, toilet etc., to existing dwelling as incremental housing. The carpet area* of house should be constructed or enhanced under this scheme should be upto 30 sq.meters for EWS(Economically Weaker Section) category and upto 60 square meters for LIG(Lower Income Group) category. For identification as EWS/LIG beneficiary under the scheme, an individual loan applicant should submit self-attested certificate/affidavit as proof of income. What is CLSS, Credit Linked Subsidy Scheme? Any citizen of India can enroll for CLSS under the following conditions. The beneficiary, at his/her discretion, can build a house of larger area but interest subvention would be limited to first Rs. 6 lakh only. This new policy of Credit Linked Subsidy Scheme (CLSS) is applicable for the Lower Income Group (LIG) of household income less than Rs.3,00,000 and the Economically Weaker Section (EWS) of household income less than Rs.6,00,000, not only for limited square feet. So, now let us go into details of how the CLSS, Credit Linked Subsidy Scheme works. Any eligible applicant who choose a carpet area within 60 sq.m(645 sqft) of a flat/house then the applicant gets an home loan interest rate upto INR 12,00,000/- availed from the bank. 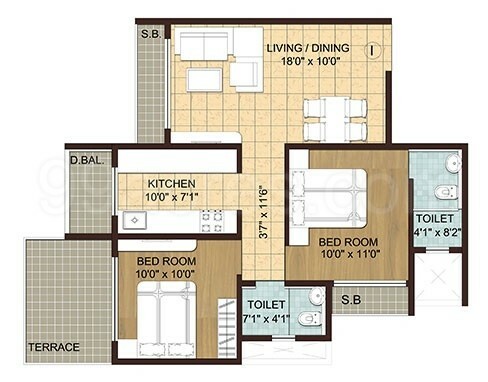 And if any eligible applicant is applying for 2 bhk of 975 sqft super built up area which has 644sq.ft of carpet area, then the flat can cost Rs. 40,00,000. Now, the applicant can enjoy interest rate subsidy on housing loan for Rs. 12,00,000. The possible subsidy ROI as per Honorable PM speech is 4% less than the current market home loan interest rate. The non subsidized interest rate follows the existing market interest rate, which is currently 8.5%. Example for PMAY CLSS, Indetail. If any qualified applicant having gross salary of Rs.50,000/- per month and age is 30 years, the person is eligible for 37.88 lakh for maximum tenure of 28 years tenure and 30 lakh for 15 years tenure(know more and calculate your eligibility http://loanyantra.com/Home-Loan-Calculator.aspx ). So, the applicant, out of Rs. 40,00,000 has to pay down payment of 20% of the market value, which is Rs. 8,00,000. For the rest of Rs. 32,00,000/-, the applicant can go for a home loan. Under Pradhan Mantri Awas Yojana (PMAY) Credit Linked subsidy scheme(CLSS) Rs. 12,00,000 will be subsidy interest and other Rs. 20,00,000 (Rs. 32 lakhs – Rs. 12 lakhs ) go as a non subsidy which has existing market rate of interest. Carpet Area*: Area enclosed within the walls, the actual area to lay the carpet. This area does not include the thickness of the inner walls. NOTE : Under the Mission, beneficiaries can take advantage under one component only. Housing and Urban Development Corporation(HUDCO) and National Housing Bank(NHB) have been identified as Central Nodal Agencies (CNAs) to channelize this subsidy to the lending institutions and for monitoring the progress of this component. Ministry may notify other institutions as CNA in future. How to Enroll and Apply for Credit Linked Subsidized Scheme (CLSS). If an applicant can qualify under Pradhan Mantri Awas Yojana (PMAY) for Credit Linked subsidy scheme(CLSS), the applicant can apply through http://loanyantra.com partnered banks and get assured lower interest till you close the loan. Home Loan is a medium that has opened the doors for many to buy a home. However, home loans have proved to be a boon for the buyers, banks, and real estate but at the same time, the down payment remains a point of concern for many before they decide to buy the home. Many people postpone their home buying as they find it difficult to raise money for the down payment. Banks do offer home loans but most of them only sanction 80% of the total amount and the remaining 20% has to be arranged by the borrower. Home loan down payment refers to the amount the buyer has to contribute in addition to the amount of loan sanctioned by the banks and HFCs. 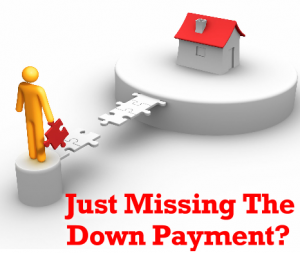 The down payment usually varies between 10%-20% depending on the bank and the amount of the loan being sanctioned. Interest rate: the Interest rate is the rate at which the banks or HFCs sanctions the loan. Home loan tenure: It is the time period under which the loan has to be repaid to the bank or lender by the borrower. Price of the home – Usually down payment is 20% of the total value of property. For example, if the value of the property you are willing to buy a property worth 80, 00,000 lac then down payment will be 16,00,000 lac. Age of the property – Those who are willing to buy an old property like 10 or 15 years old or more it might limit the possibilities of getting loan sanctioned from the banks ,as banks are dubious about giving loans for old house. Even if banks are ready to provide you loan, the amount sanctioned is not more than 50% of the total value of the house. Other costs –If you are under an impression that down payment will cover the cost of registration and property taxes then it’s a myth. You need to separately pay this cost. Liquidate your Savings and Investments like gold, FDs, PF, mutual funds, etc. Borrowing from Friends and Family. LAP or Loan Against Property – You can choose this option, the interest rate is 1-2% higher than home loans, so, choose this option wisely. Loan Against Investments – This loan is availed against your investment like gold, mutual funds, LICs etc. but the interest rate is higher than a home loan. The golden rule is that your EMI should not be more than 50% of monthly salary. Loanyantra guides you in the process of availing loan at the best interest rate. Moreover, we give you a choice to choose the bank of your interest. Our priority is to cater to the requirement of the customer first and then provide them with a matching option. You can entrust us for the complete home loan process.